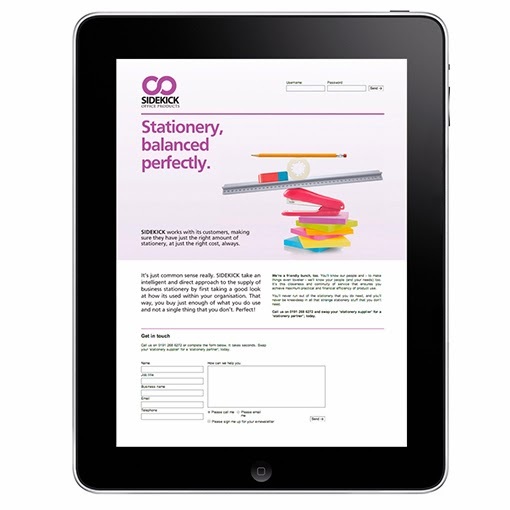 The Sidekick offering is really distinct - they make sure that your business buys only the stationery it needs, all the time. That's it! A really clear brand. No waste, no weird printer inks at the back of your stationery cupboard and no free fizzy sweets to encourage you to buy a whole host of rubbish that you don't really need. The Sidekick Office Products brand was engineered and honed inside Violet Bick, and it is now being communicated by onebestway.